mandapas, and the Royal vihara or chapel presiding over all structures. 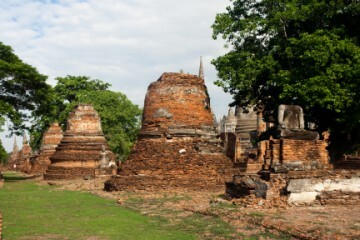 built mandapas (square structures with a spire) situated at the eastern side of each chedi. 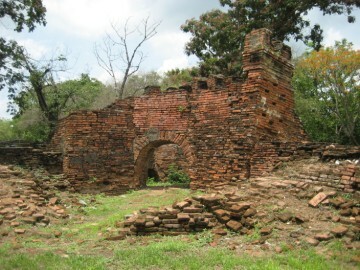 the Royal chapel towards the eastern portico of the prasat, a cruciform structure. the same axis, but in front of the Royal chapel. display at the Chao Sam Phraya Museum. The second chedi - the present middle one - was built at the same time of the first, to enshrine the ashes of his elder brother, King Borommaracha III (r.
The third and western chedi was built 40 years later by King Boromracha IV (r. 1529-1533) to enshrine the remains of his father, King Ramathibodi II. 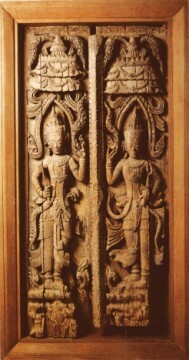 directions, decorated with a small – identical to the main chedi – stupika on the roof of the porch - a feature probably derived from the Khmer architecture. sacred chamber in the interior of the chedi in which consecrated objects, in this case the King’s ashes, were contained. stupa and this design was probably for the first time here initiated. 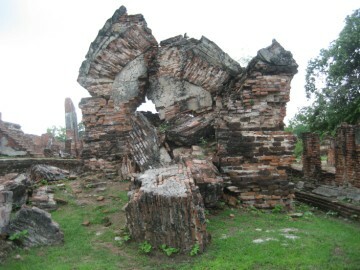 prang-styled construction of the Early Ayutthaya Period. had a front and back porch, with two entries each. s foot. The pedestal in the back has been reduced to a pile of rubble. second renovation took place during the reign of King Borommakot (r. 1733-1758). support an additional roof section. 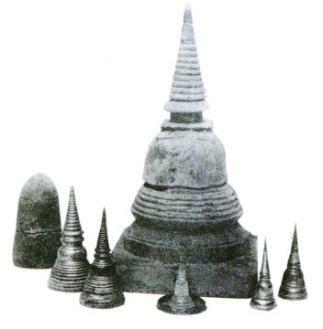 chedi" - were constructed in an identical style as the principal chedi. 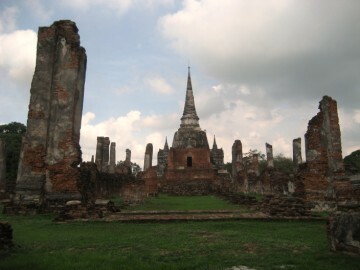 added during the reign of King Narai. meters by 15 meters. 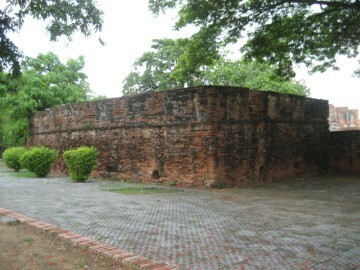 The structure was made of brick and initially open sided. 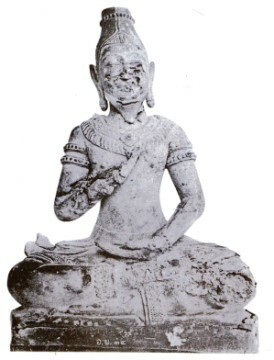 Ayutthaya period (1488 to 1629 AD). 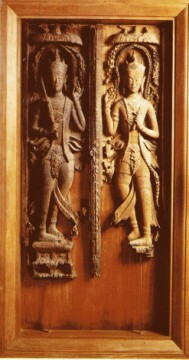 depicting Dvarapala (3) and are testimony of the exquisite Ayutthayan art. 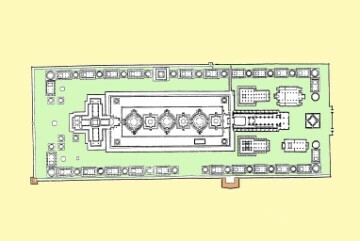 rectangular base. It had three porticos, one in front and the other two at the sides. 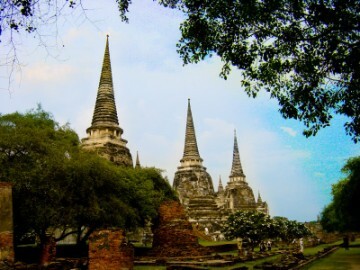 of pillars supporting the eaves similar to Sukhothai architecture. 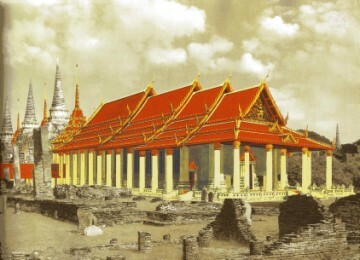 finest temple, now called Wat Siserpudt, and are held in great honor." be found on the walls of a vihara on the south side of the temple. restorations had a five-tiered rooftop and four porticos. punished to become a commoner to live near Wat Tha Sai. to dip up water and cook rice." with embattlements on the top. 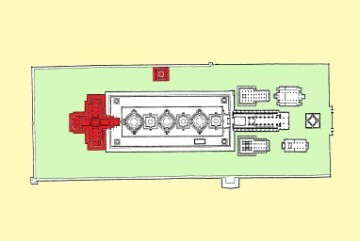 There were four gates built in the cardinal directions. southwestern corner of the monastery's premises. to house objects of special veneration - a Buddha image or footprint. in the sense of sanctuary tower (Khmer). holding a club, frequently at the entrance to a temple. 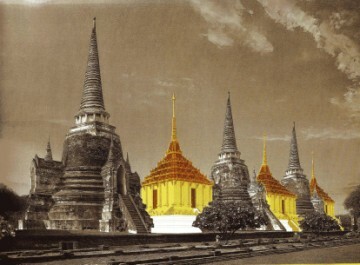 (1) Krairiksh uses a wrong element from the oil painting "Iudea", the structure being Wat Maha That instead of Wat Phra Sri Sanphet. Angkor, an introduction to the temples - Dawn F. Rooney (2003). Chris Baker, Dhiravat Na Pombejra, Alfons Van Der Kraan & David K. Wyatt. (2005) - Van Vliet's Siam - Silkworm Books - page 106. Piriya Krairiksh - A Revised Dating of Ayudhya Architecture (II) - Journal of the Siam Society, Vol 80.2 (1992). - by Aphivan Saipradist - Silpakorn University (2005). 2. 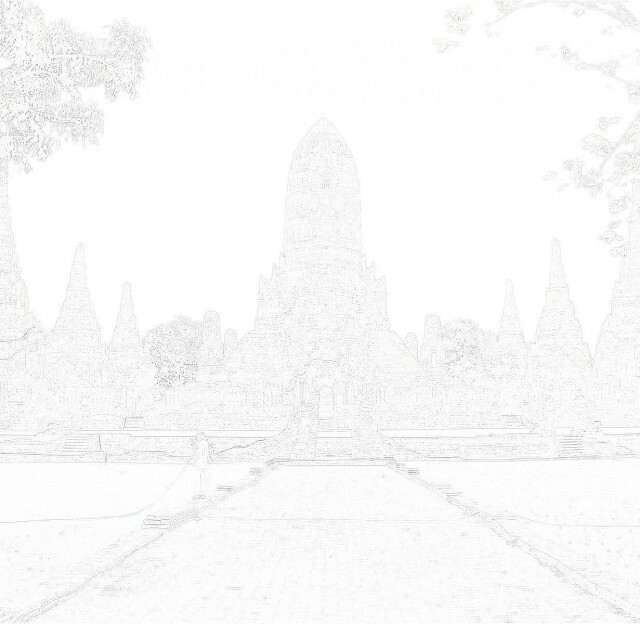 An Outline of the History of Religious Architecture in Thailand - Sonthiwan Intralib (1991).